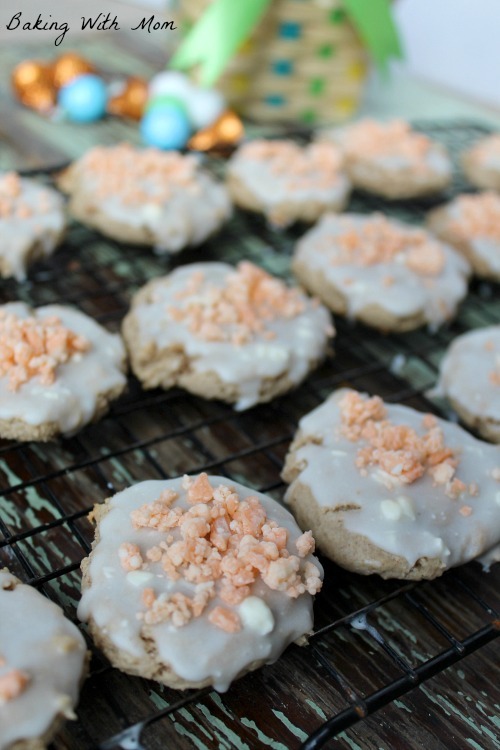 Gooey Carrot Cake Cookies – carrot cake is a classic spring flavor. Why not turn it into a cookie? Gotta love a cookie! If you put the word carrot on a cake does it make carrots more desirable to a child? Or a husband? Well, if you put the word carrot on a cookie it certainly grabs the attention of my family. Try it at your house, it will grab their attention too. Especially when, really, there is no actual carrots in the recipe. Kind of a fake out, ya know? However, gooey carrot cake cookies are good enough, moist enough and easy to make so all the family will rave over them. You are just beyond yourself wondering what is on the top of these gooey carrot cake cookies, aren’t you? Well, glad you asked. It is Hershey Carrot Cake Flavored Kisses. I found these delightful treats while shopping with Caleb the other day. When I saw them, I thought I could use them for something. We had our church annual meeting the other day, which my husband and I couldn’t attend due to a family Easter celebration. I had promised to bring cookies and in the chaos of life, almost forgot. Thankfully, I remembered just in time and was able to use my new found treat. The Hershey Carrot Cake Kisses, honestly, really didn’t taste like carrot cake. They tasted absolutely delicious, mind you, but my kids and I thought they tasted more like white chocolate mixed with a cake flavor. They were good. The base for the cookie was a spice cake. 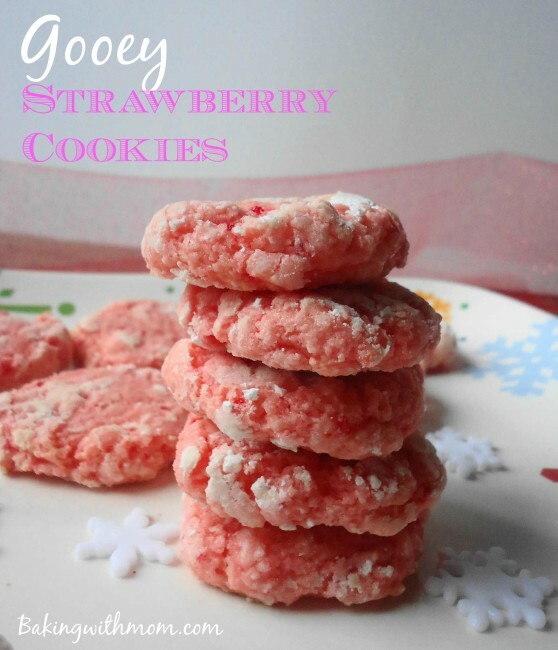 I have used this recipe many, many times before for my Gooey Strawberry Cookies and my Gooey Butter Brownies. It is a no fail recipe everyone enjoys. 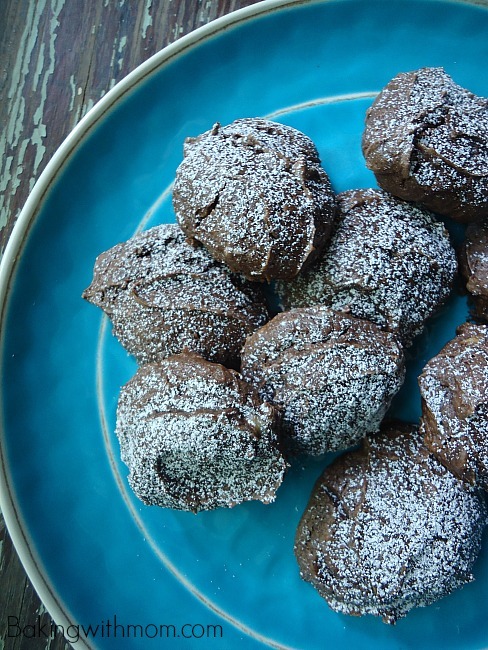 I also added frosting to the top of these gooey cookies and that sealed the deal. A spice flavor with white chocolate/carrot cake flavor on top. 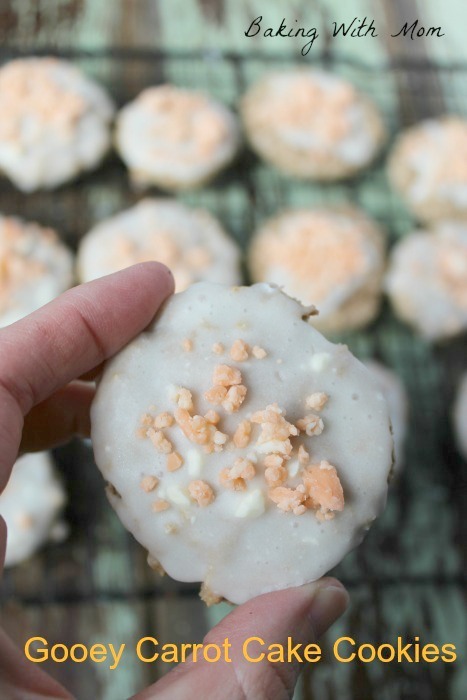 The frosting is a three ingredient standard and is perfect for this cookie. Just turn the cookie over and dip it in the frosting. In a matter of minutes, the frosting has hardened. Perfect! 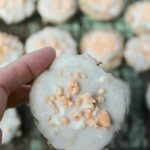 Try these cookies! For the record, I want to know, how many of you make carrot cake on a regular basis? Is it a dessert staple in your house? Gooey Carrot Cake Cookies start with a boxed cake mix and only have a few ingredients. Flavorful and moist!